They have other outlets at Chinatown Point , 11 New Bridge Road and UE BizHub East. 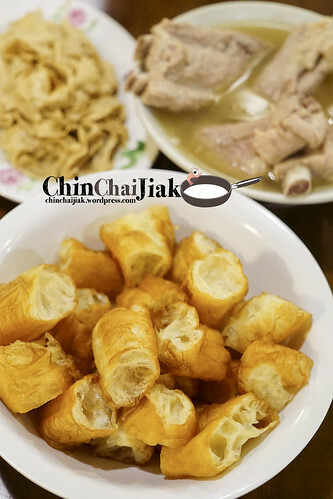 Song Ba Bak Kut Teh, has been selling Bak Kut Teh in Singapore since 1969 and is well known for selling one of the best Bak Kut Teh in Singapore. Apart from Song Fa, the usual names that pop up for peppery-style Bak Kut Teh will be Founder and Ya Hua. By writing this review, i think I’m kinda putting on head on the chopping board. Although there are many good reviews about Song Fa, there are also reviews saying this Bak Kut Teh is overrated, too commercialised, too touristy etc. 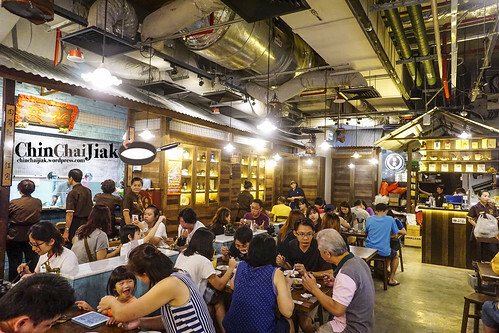 I had been supporting their Clarke Quay branch for the past years and decided to write about them after visiting their newly opened Seletar Mall branch. Even though it’s an air-conditioned environment, the price stated on their menu is net price with no additional service charge and government tax. 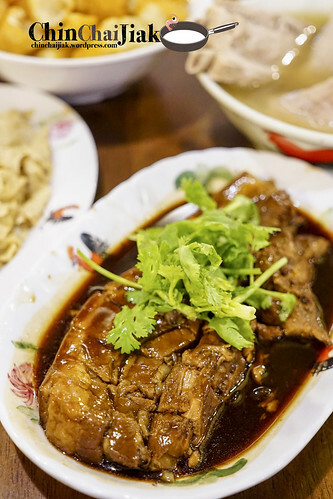 Some of you might disagree, but personally i feel that Song Fa Bak Kut Teh is moving towards the right direction on the journey to retain our Singapore food culture and it’s worth my time writing, which i will state the reasons in my conclusion. The pork rib comes into two variations, the ordinary spare rib and the premium loin rib. The soup is exactly the same, just that the loin rib cut is leaner and meatier and for that, you need to fork out an additional $2.50. For me, I tend to enjoy the soup more than the meat itself so the spare rib version is good enough for me. I only ordered the loin rib this time because it looks good on photo. Song Fa Bak Kut Teh has a moderate pepper taste, not overly strong, but just the right amount for me. 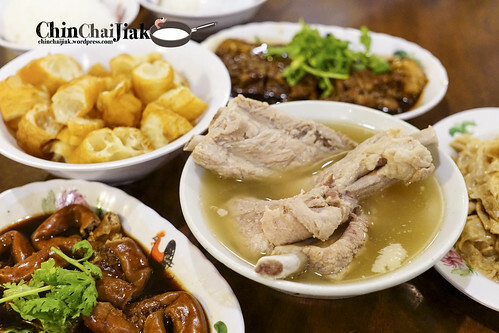 Like other good bowl of Bak Kut Teh, Song Fa’s broth has three layers of flavour (which some only has two or even only one). At first sip, you will taste the spicy peppery garlicky punch of the soup, followed a surge of smooth, rich and savoury flavours of the pork broth as it fills your palate and finally a sweet aromatic lingering aftertaste after the soup went down your throat that makes you go “ahhh”. This has always been my standard of judging a good bowl of Bak Kut Teh and Song Fa has been keeping up with this standard so far. For those that are not familiar with such Bak Kut Teh eatery, their soup is refillable and feel free to drink to your heart’s content. I kinda like Song Fa’s service because there are always a few staff walking around in soup-filled kettle and an empty bowl is always quickly refilled with hot and piping soup. Apart from the Bak Kut Teh, i will always order their Braised Bean Curd Skin. 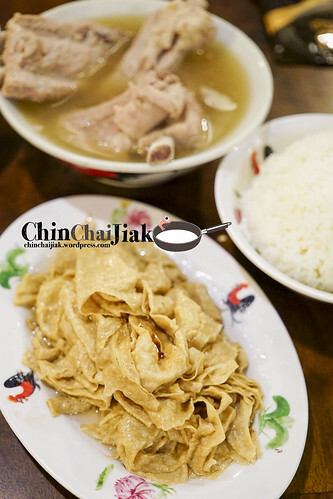 Song Fa’s bean curd skin is the thinner variation that is soft and yet retains a chewy texture. Some bean curd skin tends to have an overpowering bean taste but Song Fa one is just right, with the right amount of braising flavour. Needless to say, the Dough Fritters, or You Tiao is also the must-order. 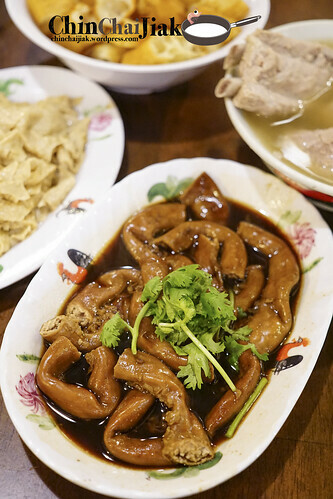 The traditional way to enjoy the You Tiao is to soak them in the pork broth and pop them into your mouth. A rather generous portion (large size) cost $3.20, which is very reasonable for Bak Kut Teh standard which can be comfortably shared by two people. I never leave Song Fa Bak Kut Teh without ordering this bowl of You Tiao. 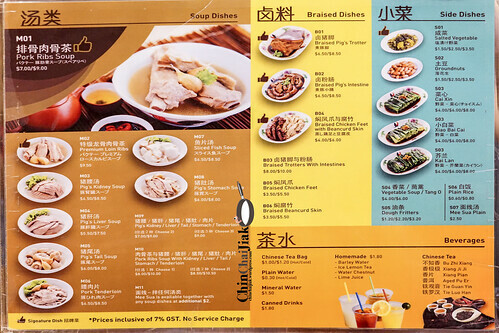 After patronising Song Fa for so many years, they finally came out with a new dish – Braised Pork Belly and it cost $7.00. This dish is pretty decent and my serving of pork belly is a rather lean cut but i was actually hoping for a more fatty slab. The braising was skillfully done. The leaner part of pork belly is very tender and the fatty part is melty soft. The braising sauce is very rich and thick which goes perfectly with a bowl of white rice. Among the Bak Kut Teh big names, Song Fa is currently the first one that spent much effort on the interior design of their new branches, adopts new technology like taking order with an i-pad, ensuring their customers dine in a comfortable air-conditioned environment and yet retaining the same good taste. Not only diners want to dine in an air-con environment, it also provides the staff to work in a more comfortable environment. In fact, i can’t imagine having a bowl of piping hot peppery Bak Kut Teh in a hot and humid afternoon. Some may say “Wah lau, one Bak Kut Teh cost $9.50? Crazy ar?”. But just imagine nowadays people are willing to pay $7.00 for a cup of coffee because “the place is nice”. It’s time we raise the status of our hawker food and to bring it up to the next level. Think of it that way. If we Singaporeans keep insisting in paying cheap price for hawker food, how will it attract sons and grandsons to inherit the skill and business of our beloved hawker stalls. Passion is one thing, but on the pratical side, the hawker business must also be profitable. The ugly truth is, to our younger generation, being a boss of a cafe is cool but frying Char Kway Teow in a hawker stall is not as glamorous, and is tough as hell and not as profitable due to the low selling price. For me, I think it’s time to show some love to those so-call “commercialised” hawker food as i boldly say that it’s one way that our hawker food can go, by breaking away from the standard model of hawker food. As for us, paying a little more than coffee shop price is one pactical way to support our local hawker food.